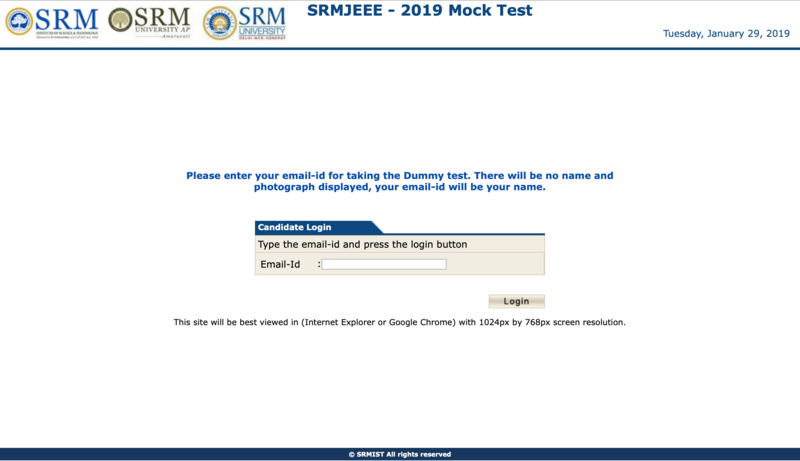 The official mock test for candidates appearing for SRMJEEE 2019 is now available. 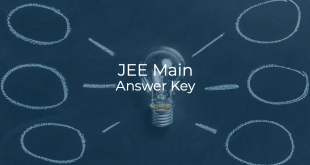 Candidates can take the Mock Test to understand the pattern of the SRMJEEE 2019 computer based test. Mock test is for practice purpose only. 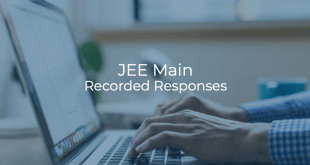 NOTE: Registrations for SRMJEEE 2019 examination are currently open. Interested candidates can apply here. 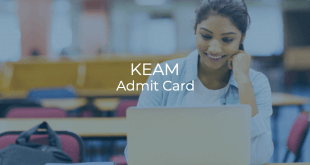 Open srmuniv.ac.in & click on “SRMJEEE (BTech) 2019 – Take Mock Test” OR directly go here. Enter your “Email Id” and click on “Login”. Choose “Course”, enter your basic details and click on “Submit”. Choose “Subject”, “Stream” and click on “Continue”. Click on Confirm on the confirmation screen. Your Name and Test Stream preference will be shown. Click on “Continue”. Go through the instructions and click on “I Agree”. Symbols used in the test will be shown. Go through them and click on “Continue” to proceed. Click on “Start the Test” to start the Mock Test.